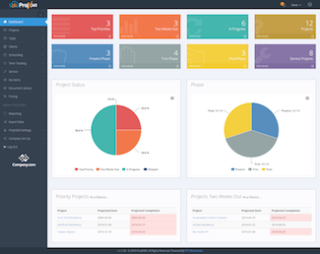 The What: ProjX360 is exhibiting at InfoComm for the first time, and will be showcasing its project management software that was designed specifically for the commercial and custom integration industry. The What Else: Since debuting at CEDIA 2015 and having hundreds of licenses in use, ProjX360 continues to receive demand from integrators around the world. Integrators are seeing how ProjX360 easily consolidates multiple software programs into one platform, saving them both time and money.